This video explains the differences among the six annuity plans and the benefits available to you and your beneficiary (4 min 47 sec). How much will you receive when you retire? Use our online estimate calculator to calculate your benefit under all six annuity plans (4 min 41 sec). Accelerating your benefit to age 62, 65 or normal retirement age. Is it right for you? 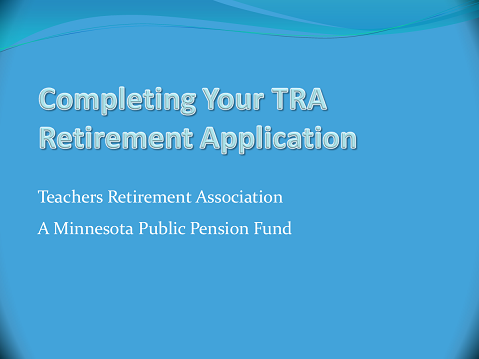 Instructions for completing the TRA retirement annuity application (15 min 10 sec).